Most people that I talk to about Airbnb agree that it’s a cool concept. Now that Airbnb has become pretty mainstream, my guess is that most of you have used it before or at least know someone who has. At this point, I think it’s probably more surprising to find someone who doesn’t know what Airbnb is. (And if you’re someone who somehow doesn’t know what Airbnb is, sign up using my link in order to get $40 off your first stay). Even though there are a ton of people using Airbnb on the guest side, the majority of people I talk to are understandably hesitant about actually hosting guests on Airbnb. I definitely understand the concerns – they’re ones I still think about as an Airbnb host. My biggest fears are having someone steal from me or otherwise mess up my house. Luckily, nothing like that has happened to me yet. Even though I know that most people won’t sign up to be an Airbnb host, I still always try to convince people to at least give Airbnb hosting a shot. My rationale is that you don’t need to do it all that time. Instead, you can just try it out a few times and see what it’s like. If it’s too weird for you, you can just deactivate your listing. At most, you lose a bit of your time. But I think even people who are weirded out by having a stranger in their house can handle hosting someone in their home for just a few days per year. Why not challenge yourself and see? 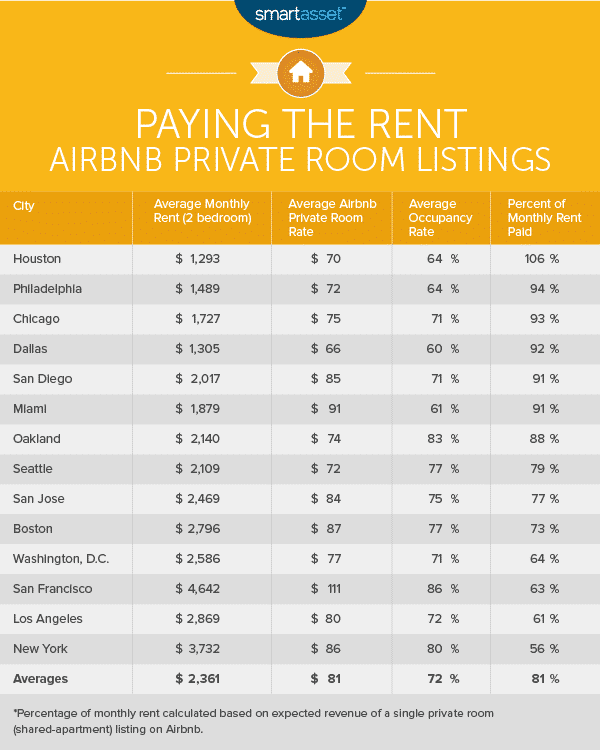 And if you’re still not convinced about trying your hand at Airbnb hosting, consider this. Because of a weird little exemption in the tax laws, if you host on Airbnb for just a few days per month, the government allows you to collect all of that income, tax-free. You’re probably wondering how you can legally collect Airbnb income tax-free. Under our federal tax code, the general rule is that any income you earn is taxable. Thus, for the most part, any income you earn on Airbnb is subject to federal and state taxes. Depending on how much you make, it can be a huge chunk of change coming out of your earnings. The “Masters” rule or “Masters” exemption, however, is a unique provision in the tax code that allows you to earn any amount of rental income without paying any federal taxes on it. It doesn’t matter whether it’s just a few bucks per year or thousands of dollars. If you fall within the provisions of the Masters rule, all of that income comes to you, tax-free. The origins of the rule stem from the Masters Golf Tournament in August, Georgia. For those of you who don’t know, the Masters is like the Super Bowl of the golf world. 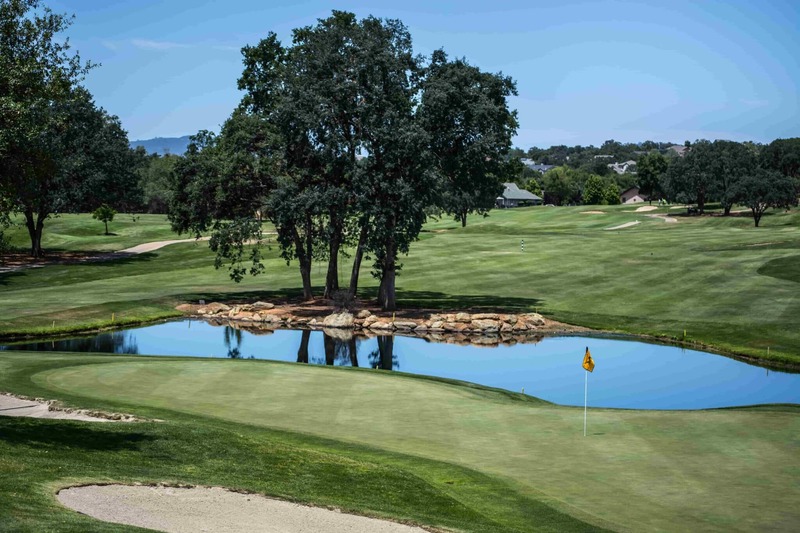 Folks who live near the golf course can often bring in upwards of $25,000 just for renting their home out for a few days during the tournament. Naturally, the folks who lived in this area didn’t want to have the pesky government snagging a piece of their earnings. And luckily for them, they had the wealth and clout to lobby congress to give them a favorable tax break. The good thing is that a tax break for them also means a potential tax break for us. Under the Masters Rule, anyone can rent their home out for 14 days or less and pay zero federal taxes on those earnings. Before the rise of Airbnb, the only people that could really take advantage of this tax break were folks who lived in very desirable areas like Augusta. As a result, the Masters rule has remained relatively obscure with very few people taking advantage of it. Now, however, with Airbnb becoming so mainstream, any one of us can conceivably use this rule to snag ourselves a little bit of extra, tax-free income. The great thing about the Masters Rule is that it allows you to try your hand at something like Airbnb and see if hosting is something you can do. The Masters Rule doesn’t require you to rent out your home on consecutive days. Instead, you can space out your rental days over the course of the year. So long as you don’t rent out your home for more than 14 days in a year, you’ll still fall under the Masters Rule exemption. Someone renting out a spare bedroom in Chicago, for example, can easily pull $1,000 per year completely tax-free. This amount can obviously be much higher if you’re more selective and only make your room available during high demand periods (think of renting out a guest bedroom during big conferences, sporting events, and the like). If you’re more daring, you could potentially make your entire home available for 14 days per year and bring in much more money. And if you’re someone who lives near a unique major event like the Masters, you could obviously bring in thousands more dollars in tax-free income. My guess is that anyone living in a respectably sized city probably has an event like this at some point in a year. If you’re not sure if you’re comfortable with Airbnb, my challenge to you is, why not try it for 14 days in a year and see what hosting on Airbnb is like? 14 days comes out to about 2 days per month. If you’re like me, you’ll have a check-in time somewhere in the late afternoon and a checkout time sometime before noon. In many instances, someone staying for 1 night might arrive sometime in the evening, sleep in your home, then leave first thing in the morning. I often barely even notice my guests are around. The interesting thing is what you can do with that tax-free money. Most people will probably just take that money and use it to buy things they want. Maybe use it for a vacation or for a home renovation or something else like that. I don’t think there’s anything necessarily wrong with that. But what if we think outside the box a little bit. Imagine using this tax-free Airbnb income to fund your Roth IRA, for example. If you took this route, you can essentially take tax-free income, use it to fund at least some of your Roth IRA, then take that money out again in the future, tax-free. We know that the HSA is one triple-tax advantaged account (i.e. money goes into the account pre-tax, grows tax-free, and can be withdrawn tax-free). If we utilize the Masters Rule, it could potentially be possible to turn the Roth IRA into a second triple tax-advantaged account! Obviously, in order to do this, you’re going to need to earn at least some taxable income in the year as well, but most of us already do this by necessity anyway. Imagine how much your Roth IRA could be worth if you could somehow pull in $5500 per year renting out your home on Airbnb for 14 days or less . Obviously easier said than done, but potentially possible depending on where you live and what type of space you’re renting out. We at least know that folks in Augusta are able to do this. Even $1,000 per year (which I think almost anyone can do), can turn into $100,000 of tax-free Roth IRA money. That’s not a bad deal. 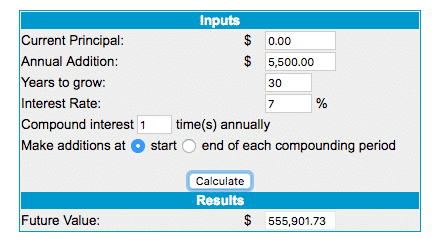 This compound interest calculator tells me that $5,500 per year can turn into over $500,000. With the Masters Rule, you could potentially get all of this without ever paying taxes on it. Not easy, but potentially possible. You’ll probably owe state taxes. The Masters Rule only applies to your federal income tax. My guess is that most states don’t have a similar exemption. Make sure you check to determine what you might owe to your state taxing authorities. You can’t deduct anything. If you’re going to take advantage of the Masters Rule, remember that you can’t deduct your Airbnb expenses from your taxes. This makes sense. If you’re not paying taxes on the income, the government isn’t going to let you reduce your already non-existent taxes by taking deductions. Keep good records. The IRS says that if you rent your home out for 14 days or less, you don’t even need to report it to the IRS. In practice, this basically just means the IRS never even knew you made that income. Airbnb, however, is required to send tax forms to the IRS. As a result, if you’re taking advantage of this rule, you’re probably going to get something from the IRS asking you to explain yourself, since the IRS can’t tell how many days you rented your house. All you need to do is explain that you rented your home for 14 days or less and make sure you have all the documentation to prove it. Once you rent for more than 14 days, all of that Airbnb income becomes immediately taxable. This is really important. If you’re going to take advantage of the Masters Rule, you have to make sure that you don’t rent out your house for more than 14 days. Once you hit that 15th day in the year, all of that income becomes taxable. Not everyone is going to be in a position to make $25,000 per year like those people renting out their homes in Augusta. But I think everyone with a spare room in a decently desirable area can probably make $1,000 or more per year just by renting out that room for 14 days or less. 14 days in a year is a tiny amount of time. It basically comes out to 2 days per month. I think almost anyone can handle hosting someone just 2 days per month. There aren’t a ton of ways to get tax-free income in the United States. The Masters Rule is definitely not a tax exemption that the government expected a lot of people to be able to take advantage of (hence why it exists at all). But with the rise of short term rental platforms like Airbnb, every single one of us can take advantage of this tax exemption pretty easily. The fact that you could also use this income to turn at least some of your Roth IRA into a triple tax-advantaged account makes this tax exemption even more interesting. The government didn’t mean to do this, but when you think about it, it’s almost like they wanted us all to try our hand at being an Airbnb host. If you think you might want to take advantage of some tax free Airbnb income, then you should definitely sign up to be an Airbnb host using my referral link. Plus, if you use my link, Airbnb will give you a bonus $50 once you host your first guest. What do you think? Does the idea of hosting on Airbnb appeal to you a little more if you know that you can try it out and pay no taxes on that income? Dude. Such a great point, and LOVE the idea of this tax advantage pushing fence sitting would-be hosts to give it a try. Thanks for explaining it so clearly! Thanks! I know that most people won’t give Airbnb a shot, but I always say that it’s worth trying out to at least see if it’s something you can do. If it doesn’t work out, then hey, all you lose is some time and at least you can have a good reason that it wasn’t for you. Given that you can do this all tax-free, why not try it out, right? Thanks for sharing! I had no idea about this and it is a great way to try Airbnb. I’m not quite in the position to try rent out yet, but this is definitely a motivator. Thanks man! Really, I just think anyone can try out Airbnb, especially since it’s possible to try it out with basically no tax implications. It’s not really possible to “try out” being a traditional landlord, for example. It’s sort of a go all-in or don’t do it at all. Makes Airbnb a really low risk way to sort of be a landlord. Tax-free income is awesome! I can’t do Airbnb since I live in a co-op…highly doubt the rules allow me to do it…plus I have no room anyway. Do you rent out a room or is it a separate unit in your house? I would feel a little weird having a stranger walking around. I would love to do Airbnb here in NYC but it’s too expensive to buy property here. Thought about buying property out-of-state and paying a property manager but will have to do a lot more research. Obviously, only do it if your rules or state laws allow you to. I don’t advocate anyone violating their lease or condo rules. I rent out a guest room in my house. Without a doubt, 99% of people I talk to don’t want to do Airbnb because they think it’ll be weird having a stranger walking around their house. That’s what I thought too when I first started but you’ll soon learn that most people are just normal cool people like you and me. If you like people and are a normal, sociable person, it’s not weird. And when someone rents a room from you on Airbnb, they never hang out in your house. People renting out a room are usually coming into town for a specific reason (visiting friends, conferences, interviews, etc). It’s like if you rented a room on Airbnb. Would you just sit around in someone’s living room or would you be out and about all day and just come back home to sleep? But the great thing is, with this masters tax exemption, you can at least just try Airbnb out and pay no taxes on those earnings. Not a lot of chances to just try out projects like this with no commitment. THIS is my sort of blog post! I wasn’t aware of the Masters Rule, and this is the kind of stuff people need to learn about if they really want to hack their finances. Tax hacks are extremely underrated and I’ve seen a big boost in my finances the past couple years as we looked to optimize our taxes. Thank David! Most people don’t know about this tax exemption simply because there hasn’t really been an opportunity for people to take advantage of it before. But with Airbnb, anyone can do this. I’m positive that anyone with a house and a guest room could handle hosting a guest for 14 random days per year. We still haven’t tried hosting, but you keep making compelling arguments. I’m going to have to keep this in mind. An interesting loophole, and crazy story behind it! Really crazy what you can do when you’ve got the money to lobby for tax breaks! My husband and I actually put our entire home up on Home Away and Airbnb and we got a few queries from wedding parties and families looking to rent for a local college’s graduation. We also got requests from families looking to rent out the home for the summer. This was a few years ago before we were more FI adventurous. It would have required us to move for a few months and we weren’t willing to do it. I think I set a limit that we would do it for $10k which is just not going to happen. Now looking back, I’m like WHAT IS WRONG WITH ME? We could have found a month-to-month rental. Oh well. Thanks for sharing the Masters rule! Super helpful for people to know. Nothings wrong with you! Most people wouldn’t have the guts to rent out their primary home and find someplace else to live. It would have definitely been an interesting experiment for sure though! Imagine if you had made some big bucks renting it out as a sort of vacation home. Probably could have brought in a few thousand of tax-free income! For my bachelor party, we paid $750 a night for a cabin. If you were the type of person with a cabin (which a ton of people in Minnesota have), that could be $10,000 of tax-free income if you limited the amount of time you rented out your vacation home to 14 days. The family that owns the mansion where the Bachelor and Bachelorette are shot gets this type of deal twice a year. Shooting in LA is usually only 2 weeks before the production is on the road and doing destination travel. They must make a killing. If it was under 14 days of rental in total that is a ton of tax free money. I’d happily give up my primary home for location shoots several times a year. So many creative ways to get tax free money. Does the IRS count the actual days of an Airbnb reservation or the number of nights stayed? Example: Most of my rentals in 2018 were people checking in Friday evening and checking out Sunday morning. Airbnb always uses the language of 2 nights, not 3 days.